It is both good and right that we sign off the 20th Cathedral Quarter Arts Festival with one of Belfast’s (and the festival’s) favourite sons with the living legend that is Roy Walker returns to the Festival for one night only. Roy’s career is well documented, building a reputation as a master comedian in the 60s and 70s in the clubs and on television, to hosting throughout the golden years of Catchphrase in the 80s and 90s, to his recent career as break out TV star in a range of shows including The Real Marigold Hotel and Celebrity Come Dine with Me. His first love though, has always been comedy. Give him a microphone, an audience and a spotlight and Roy Walker is truly in his element. 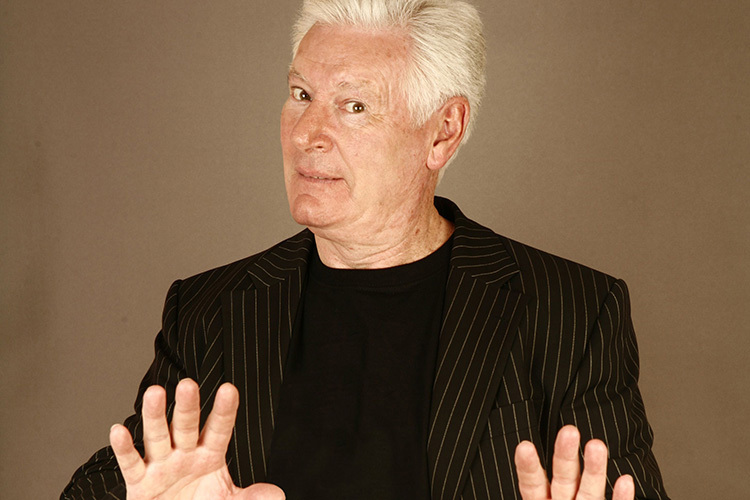 One of the finest Irish comedians of his or any other generation, and a true friend of the Festival, ladies and gentlemen, we give you Mr Roy Walker.